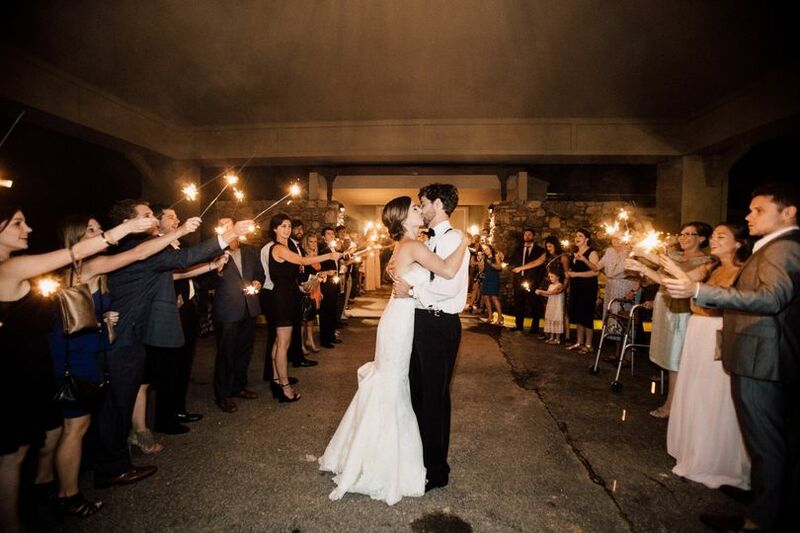 Country Club of Asheville is an elegant wedding venue located in Asheville, North Carolina. 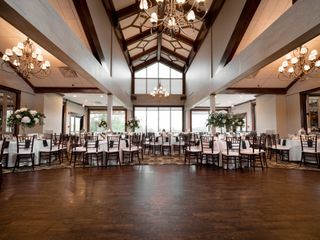 This classic golf and country club features multiple indoor and outdoor settings for your big day. 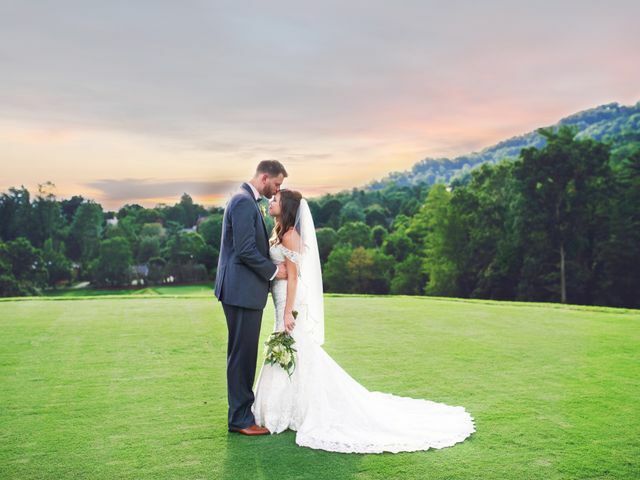 You'll enjoy the gorgeous Blue Ridge Mountains and pristine fairways as you say your “i do's.” Country Club of Asheville prides themselves on their high-quality service, delicious cuisine and exquisite backdrop. 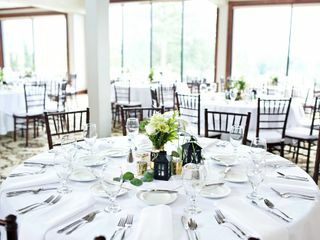 Couples can accommodate up to 175 guests at this picturesque venue. 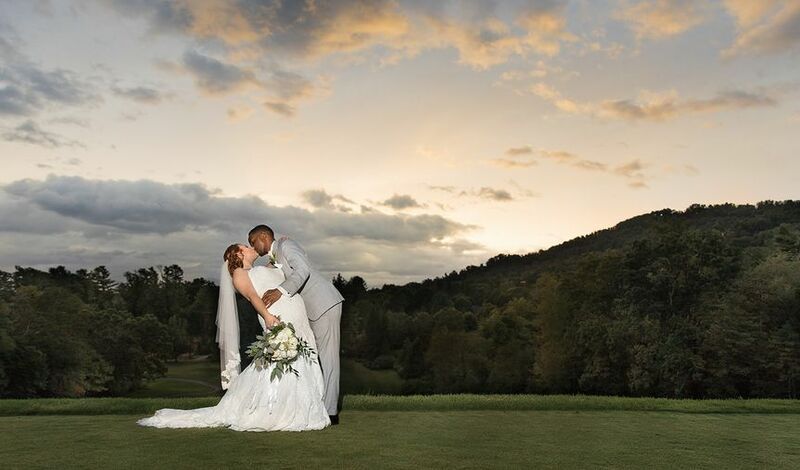 They offer a beautiful outdoor ceremony site with the mountains and sunset behind you. 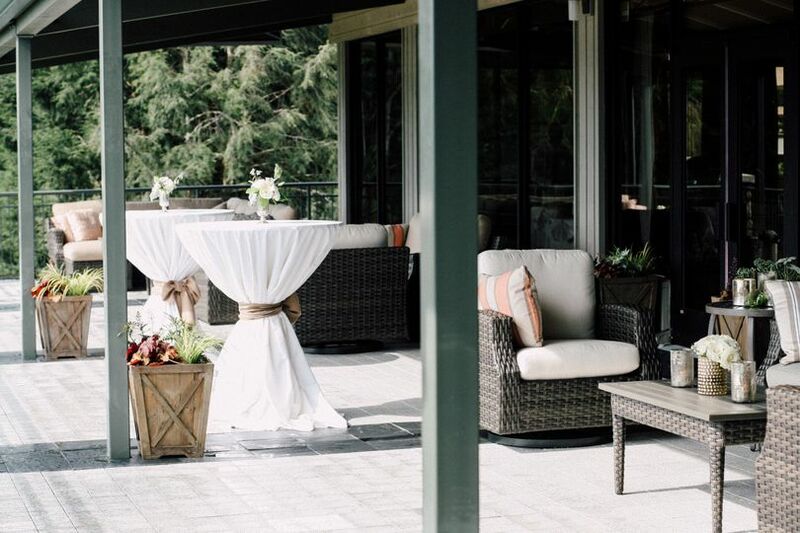 Your guests can then sip cocktails on their wrap-around, 1,200-square-foot veranda and bar. 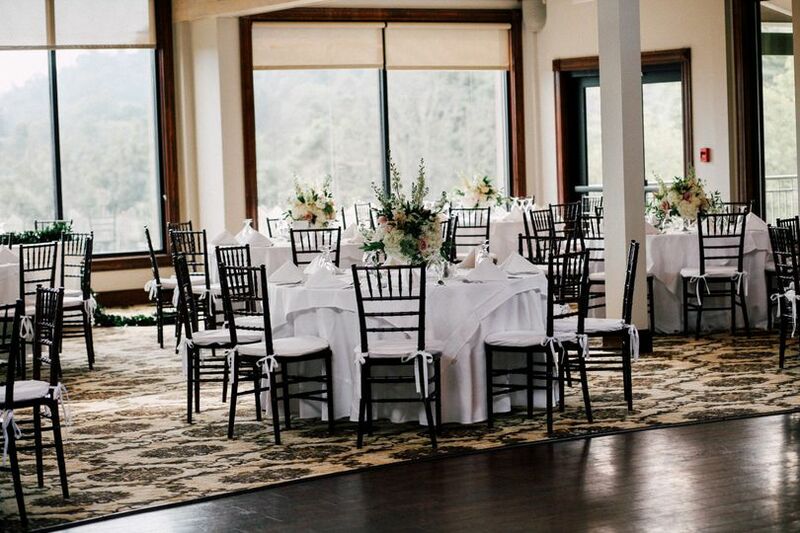 For your reception, you can dance the night away in their elegant Pisgah Ballroom. This spacious space features grand, cathedral ceilings and a newly remodeled interior. 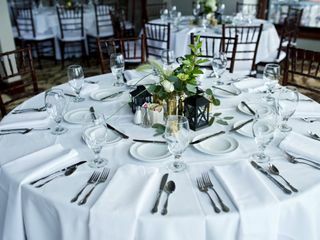 If you're having a more intimate affair, they also feature their Reynolds Room and Donald Ross Dining Room that can accommodate up to 60 guests each. 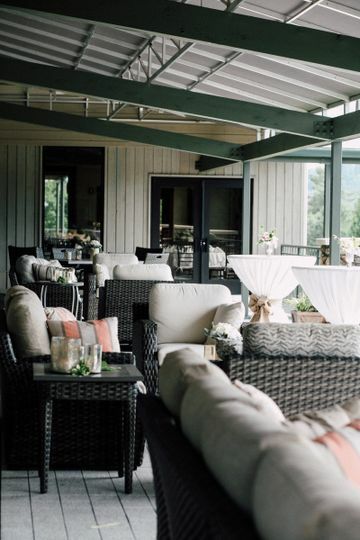 Country Club of Asheville works with their Executive Chef to create a menu of your dreams. Their five-star cuisine is completely customizable to suit your individual tastes and preferences. You can choose from a diverse buffet, or an elegant plated meal. They have a wide variety of craft beers to choose from for your cocktail hour, and they're happy to create a signature cocktail just for you. 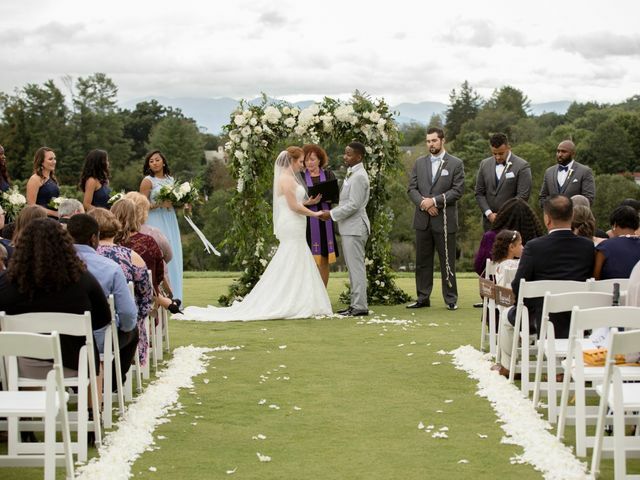 The Country Club of Asheville was an amazing venue for our wedding ceremony and reception! 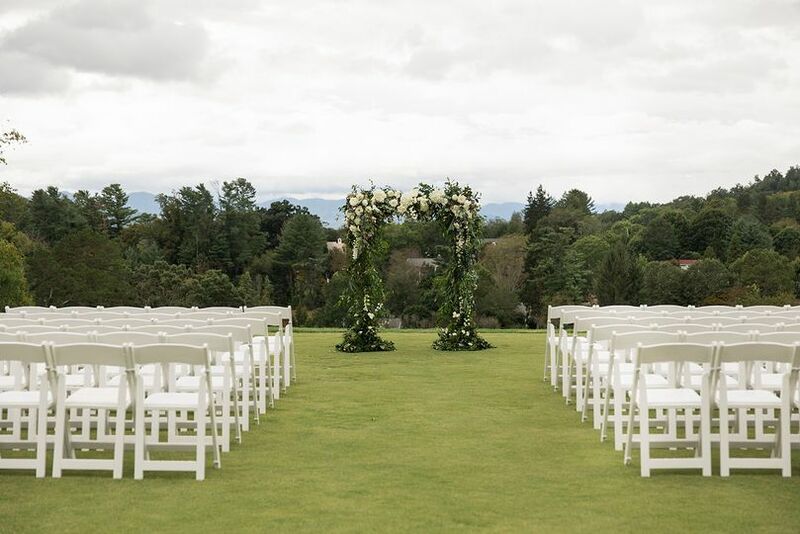 The outdoor ceremony spot has a beautiful view of the mountains and a great set-up with 3 tiers for seating. Nice white wooden stairs are provided between the tiers and they have a white trellis to use, if needed. It was PERFECT! 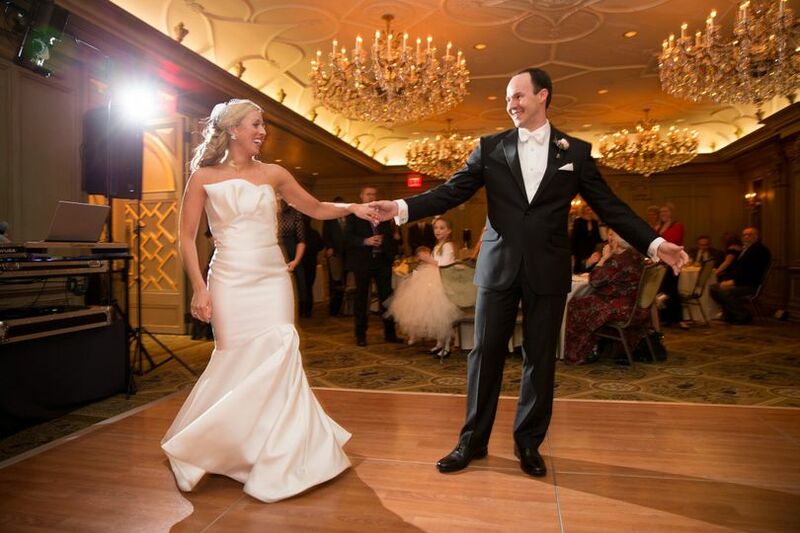 The reception room was gorgeous and the new interior updates really enhanced the space. The room provides a gorgeous mountain view. The space was perfect for the 130 guests we had. 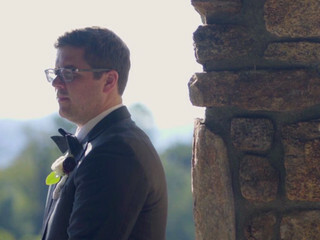 I really cannot say more about the work of the staff at CCA - they are truly wonderful and made our wedding so special. 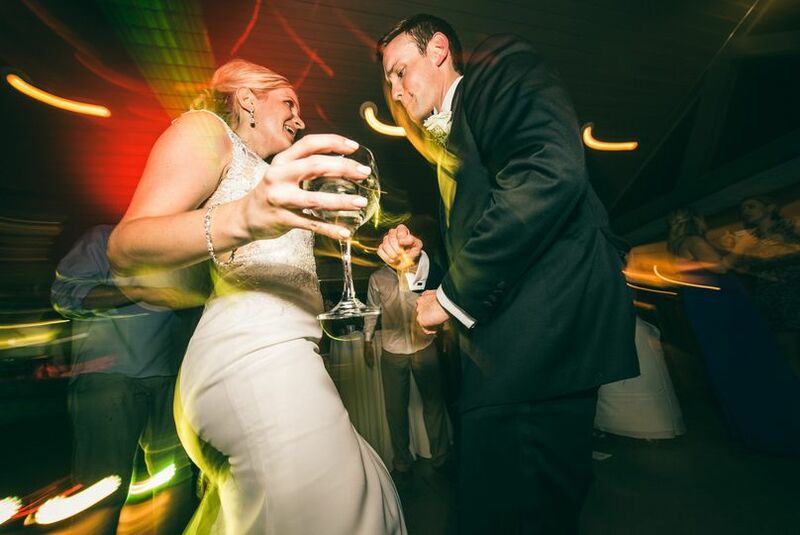 Jessica Cruttenden is their Hospitality and Events Coordinator and she was FANTASTIC to work with. From the moment she stepped in she was so easy and fun to work with. 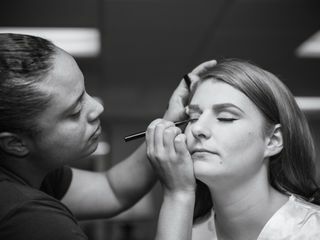 She understood how important the little details were to me and helped make my vision come to life - from coordinating the rental items needed (chiavari chairs, dishes, linens) to setting everything up and most importantly, to coordinating the craziness of the day-of, she was AMAZING. We were confident after meeting Jessica that she had things under control and we didn't have to worry about a thing the day of our wedding. We brought in many decor items and Jessica made everything look perfect and exactly how we envisioned. 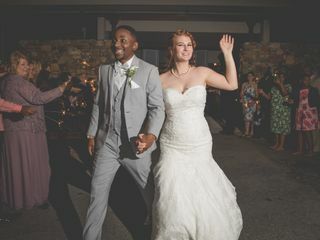 The food for our reception was so great - don't pass up the filet! - and we received so many compliments on everything. CCA's pastry chef, JB, did an amazing job on our cake - it looked beautiful and tasted SO GOOD. And the dining room staff and bartender, Kyle, were all so fantastic. They were nice and accommodating and really made sure that everyone was taken care of and having fun. 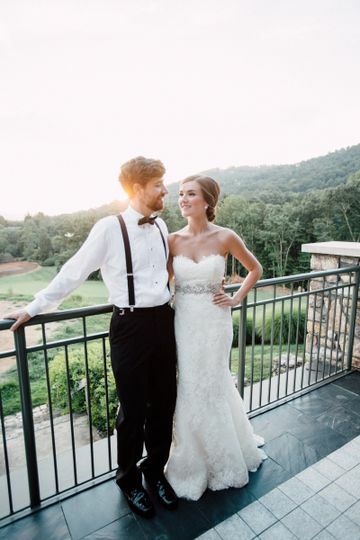 We are SO happy we chose CCA for our wedding and really couldn't be happier with how our day turned out. We would highly recommend them!! The Country Club offers fantastic service, flexibility and beautiful views. 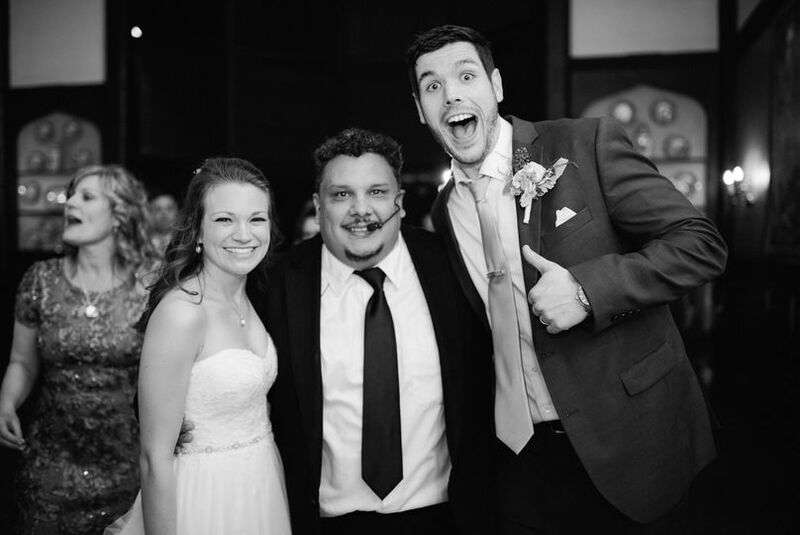 They helped us plan every detail of our wedding that we wanted help with, and worked with us on special requests. They took fabulous care of our guests and bridal party, cooked delicious food, and we had a phenomenal cake. 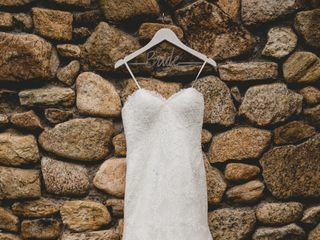 The views out of the dining room are priceless and the accommodations for getting ready and having a reception are flawless. 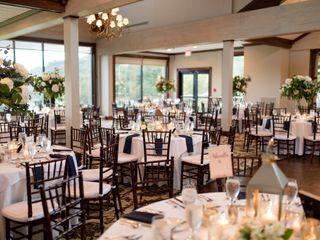 I am SO pleased with choosing The Country Club of Asheville as the site for our ceremony and reception. 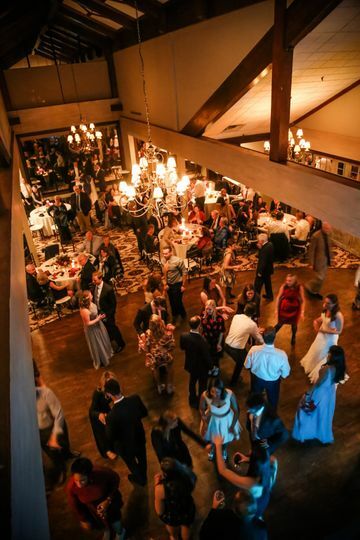 I could go on forever with all the positive aspects of having our reception at the Club. Marrying on the first tee was just fantastic, my favorite part of the day. 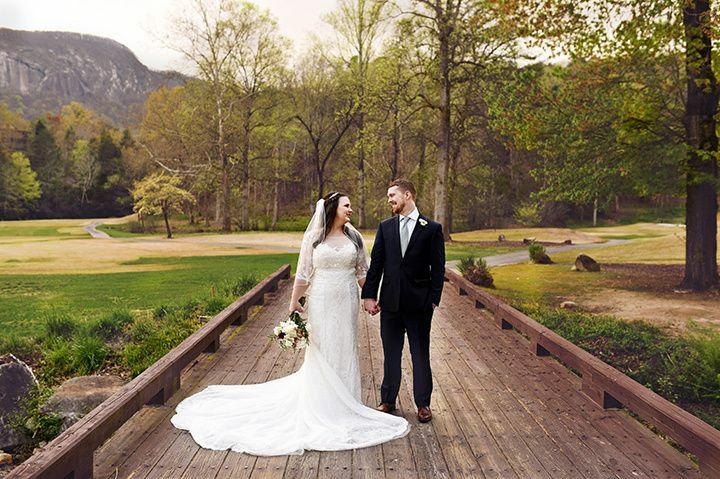 The mountains served as a stunning background. Our DJ was able to run speakers out to the ceremony for music. 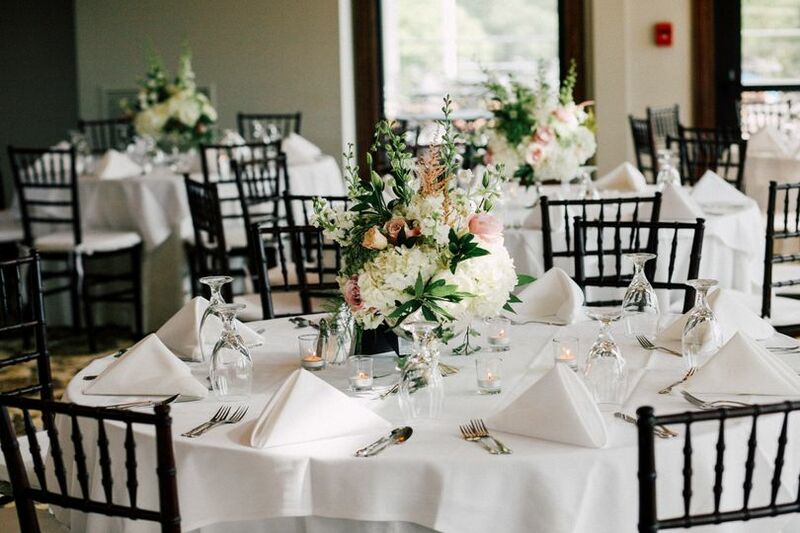 The staff of the country club set up the chairs and our décor! That was SO helpful! 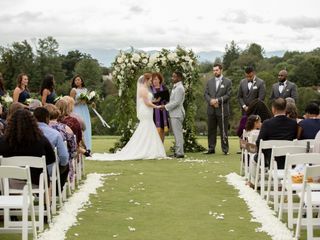 I just loved our ceremony on the first tee. Beautiful weather, cloudless day, intimate and full of love! There were some really neat places to get pictures throughout the golf course as well. Locker rooms were great to get the final touches in. The reception space was so great. Perfect for 120ish people. Everyone sat together in one room. BEAUTIFUL VIEWS OF THE MOUNTAINS! GREAT FOOD! You can literally pick anything you could want from the chef and from the bar. A gorgeous outdoor patio to enjoy the sunset. Marianne Beasley was our go-to girl, and she did a great job with everything. The Club was so accommodating to our every want and need. 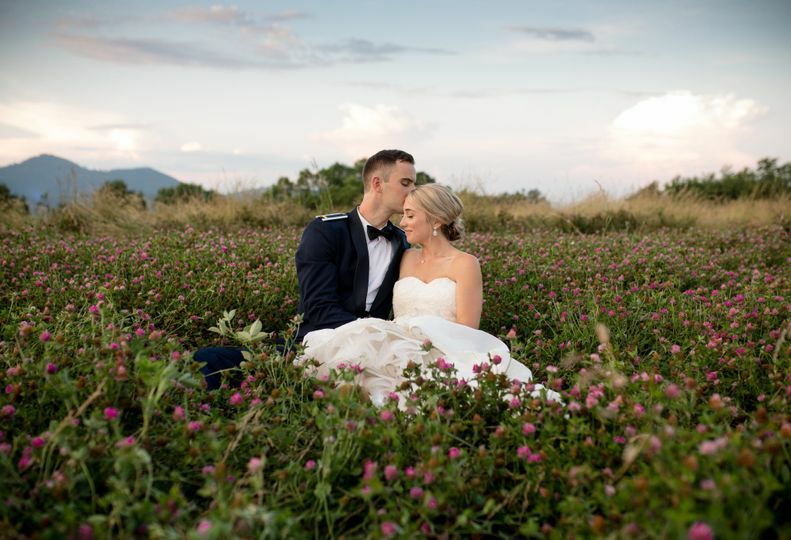 What a beautiful location to have your wedding! The details, the location, the atmosphere was so warming and stunning. We had a chance to capture a real life BEAR haha, enjoying their scenic spot. 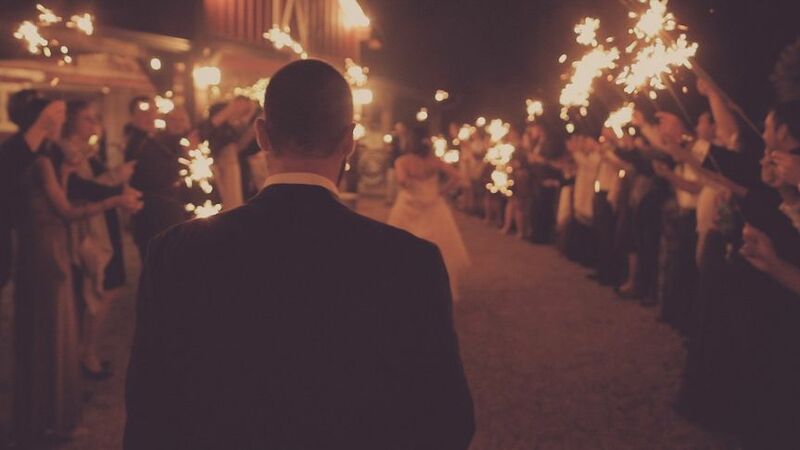 If you are looking for a great destination or local event & wedding location, please check them out!